What is first item which you think of whenever you get a cut? Bandages? Stitches? Soap? They are so conventional! Most people do not know that super glue is a perfect alternative when it comes to treat cuts quickly. How to Use Super Glue? Super glue is mainly made of an acrylic resin name cyanoacrylate. Therefore, you can use the name cyanoacrylate glue too. Indeed, the composition of most contemporary glues on the market is typically Poly methyl methacrylate, Hydroquinone, organic Sulfonic acid and 91% ethyl 2-cyanoacrylate. This type of glue helps form bonds in seconds between breaks on nearly all materials including plastic, rubber, metal, etc. Hence, this versatile adhesive can be applied in many ways. Rule of thumb is air humidity is a factor that involves curing reaction. After being exposed to the air, the glue hardens fast. Scientists explain the reaction happens due to the contact with hydroxyl ions in water. Hydroxyl ions are everywhere in the air except very very hot condition.The curing process starts at the surface of bonded things and stops at the centre of the bond. 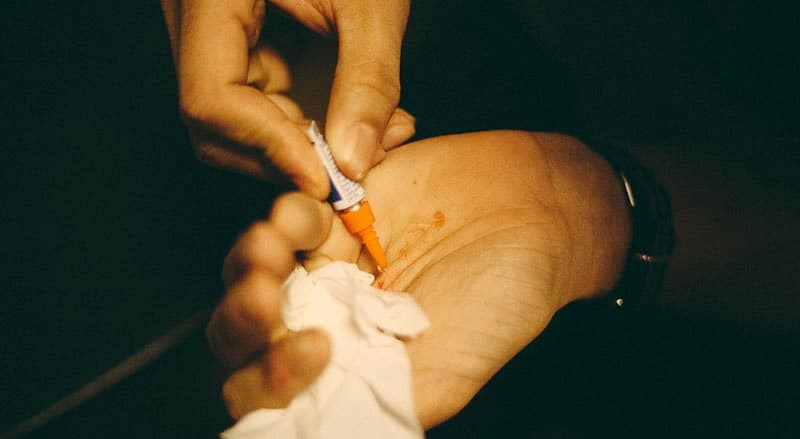 Spreading a small amount of super glue on your cuts and waiting until it dries. After seconds, the glue will turn into a mesh to prevent the cuts from bleeding. Some say it is even more effective than bandages. The answer is right below but you should not miss parts listing type of super glue and which type is safe to go for. The world has it that the term “super glue” is a household adhesive. These household adhesive can have undesirable downsides. 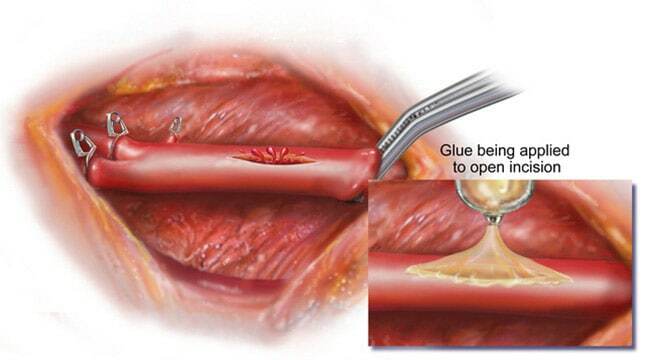 If you accidentally let the glue get into the cuts, it can kill cell or aggravate infections. Even worse, it can damage the issue surrounding the cut. Complicated situations likely happen when you are allergic to it. 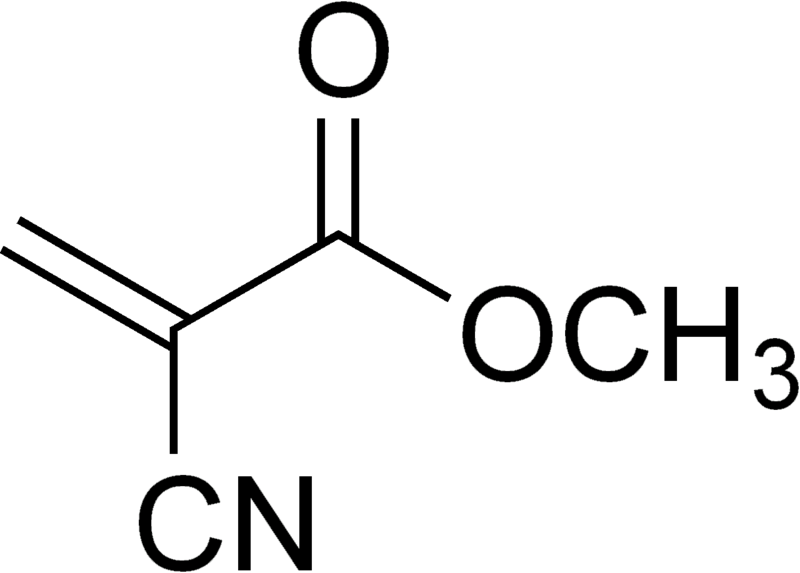 Under those circumstances, the market has seen several newcomers with two compositions: 2-octyl cyanoacrylate and n-butyl cyanoacrylate (more flexible but provide weaker bond). They are solely designed for medical purpose. As a result, these super glue either barely generate irritation or provide more comfortable feeling. However, these products are more expensive than well-known super glue at the moment. For example: over $20 to buy a Dermabond tube. If you are a careful person or perfectionist, go for these guys. Otherwise, normal super glue such as Krazy Glue, Gorilla Glue or Super Glue are good enough as long as you use with cautions. “Wait! There is a product which is not glue but do the same purpose.” said you. You are right. There are many ways to skin a cat. The market gives you liquid bandage. This part explains differences to notice between liquid bandage and super glue when it comes to cover cuts. Popular brands you can look up in the Internet are Krazy Glue, Super Glue (Yes, the term is also a brand). For this reason, they are put into this comparison. Price: You can easily find them at cheap price on Amazon, that does not raise much concern. Feel: There are many topics and reviews showing painless when applying super glue on cuts despite labels warns against contact with skin. Comparatively, liquid bandage products do sting you. How much irritating will you feel? It depends on you since we are different in suffering pain level. Convenience: All product can be used easily in the first place though you have to remember not to get your fingers bonded with super glue. Versatility: This is where super glue products shine. After all, liquid bandage has one sole purpose to cover cuts while super glue adapt to many functions or activities. Battle of the two biggest brand in super glue genre: Super Glue and Krazy Glue. To be honest, they are identical. Both are adhesives based on original formulations. First of all, remember to clean cuts before applying super glue to avoid keeping unwanted small and dirty things stuck inside cuts. Next, you should wait until bleeding is less intense. In case it is not showing any sign of subsiding, you should get to a doctor immediately. The following step is making edge of cuts close enough to apply super glue on. Do not use too much pressure. It is not necessary and wasting energy. Put a thin layer of super glue and gently spread around cuts. The point is to create a layer above cuts. The more glue you add, the longer time you have to wait and that is not recommended. With this in mind, Too much glue is not a good choice. Although the super glue will harden in just second, you can wait in 30 seconds, Just to be sure. Get rid of any thought that you should peel of the super glue because it will fall off naturally. Trust me. You definitely do not want the cuts to open again. Only use super glue for not-so-deep cuts. In detail, cuts is not supposed to bleed heavily. If it is, use alternatives around instead of super glue. Henceforth, paper cuts or light cuts, minor scratches or small blisters are best matched for super glue. Using super glue on cuts which are over joints or mobile parts and tight skin is a bad idea. There is chance that the glue will come off when the cuts have not healed yet. In this case, switch to another options to close cuts. 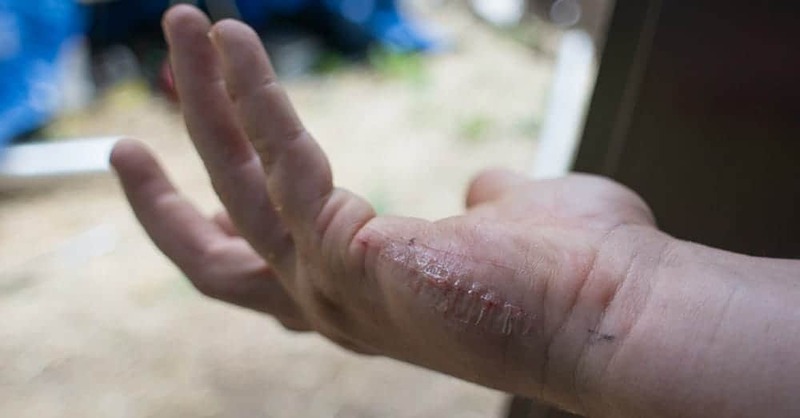 Animal bites, infected wound, face and eyes are serious place to avoid. You can understand why. Do not follow the guide if you are not comfortable. You know this. As long as you are not sure what you are doing, you likely to mess things up.